A novel set in contemporary Dublin about female friendship, lust, jealousy, and the unexpected complications of adulthood in the 21st century. Two young woman, former girlfriends but now just close friends, fall in with an enigmatic older couple. Rooney turns out to be as intelligent and agile a novelist as she apparently was a debater, and for many of the same reasons. As its title promises, Rooney’s book glitters with talk ... Capitalism is to Rooney’s young women what Catholicism was to Joyce’s young men, a rotten national faith to contend with, though how exactly to resist capitalism, when it has sunk its teeth so deep into the human condition, remains an open question ... one wonderful aspect of Rooney’s consistently wonderful novel is the fierce clarity with which she examines the self-delusion that so often festers alongside presumed self-knowledge ... She writes with a rare, thrilling confidence, in a lucid and exacting style uncluttered with the sort of steroidal imagery and strobe flashes of figurative language that so many dutifully literary novelists employ ... But Rooney’s natural power is as a psychological portraitist. She is acute and sophisticated about the workings of innocence; the protagonist of this novel about growing up has no idea just how much of it she has left to do. Rooney sets her story in the post-crash era, among a Dublin elite. Her characters work in the arts and denounce the evils of capitalism while living off inherited wealth. 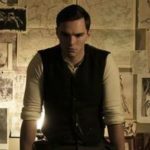 The novel, indeed, is almost post-Irish ... Rooney is not a visual writer. There are no arresting images, no poetic flights. She is of the tell-don’t-show school: many of the conversations that comprise most of the novel are presented as he-said she-said reportage ... Rooney writes so well of the condition of being a young, gifted but self-destructive woman, both the mentality and physicality of it. She is alert to the invisible bars imprisoning the apparently free ... Her hyperarticulate characters may fail to communicate their fragile selves, but Rooney does it for them in a voice distinctively her own. Sally Rooney is a planter of small surprises, sowing them like landmines. They relate to behavior and psychology—characters zigging when you expect them to zag, from passivity to sudden aggression and back ... Conversations With Friends asks whether it is possible to sustain authentic connections to people in the presence of flawed, overarching structures: capitalism, patriarchy, a devilish ménage à quatre ... Rooney herself is acute and sensitive—she may have pinned these fragile creatures to a board, but her eye is not cruel. Bobbi, Frances, Nick, and Melissa excel at endearing banter and hesitant, vulnerable disclosure. 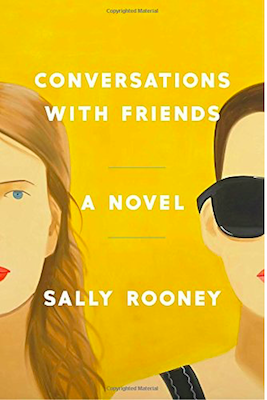 They are all thrillingly sharp, hyperverbal ... Rooney has done the impossible in the Trump era: She’s rescued the ego as an object of fascination ... Rooney reveals a young woman painfully coming to terms with the beliefs, desires, and feelings that belong irrevocably to her. Conversations With Friends sparkles with controlled rhetoric. But it ends up emphasizing the truths exploding in the silences. What did you think of Conversations With Friends?